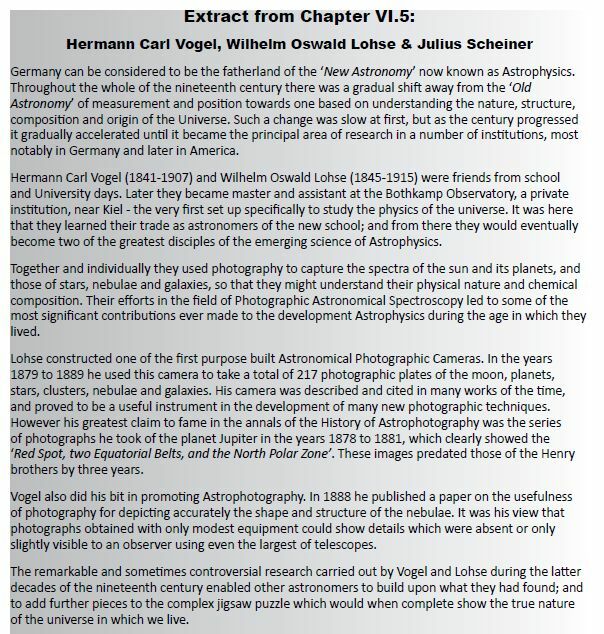 Hermann Carl Vogel (1841-1907), Wilhelm Oswald Lohse (1845-1915) and Julius Scheiner (1858-1913) were three of the great pioneers of Astronomical Photographic Spectroscopy. 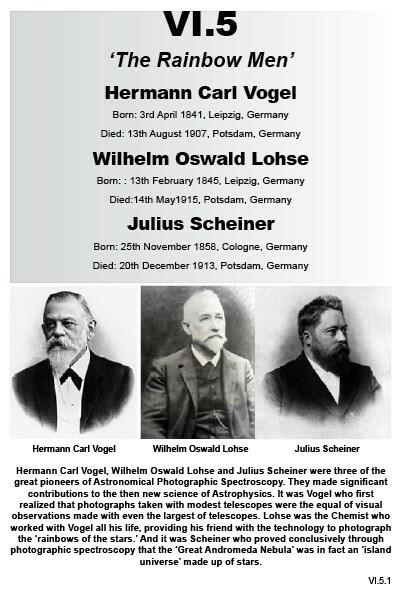 All three of them spent almost all of their working lives at the Potsdam Astrophysical Observatory and it was here that they made their most significant contributions to the then new science of Astrophysics. 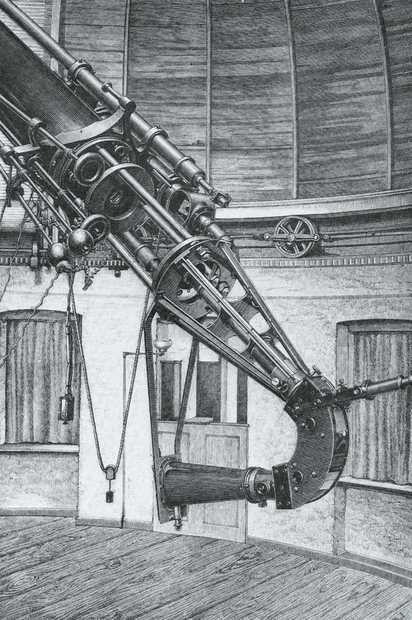 It was Vogel who first realized that photographs taken with modest telescopes were the equal of visual observations made with even the largest of telescopes. 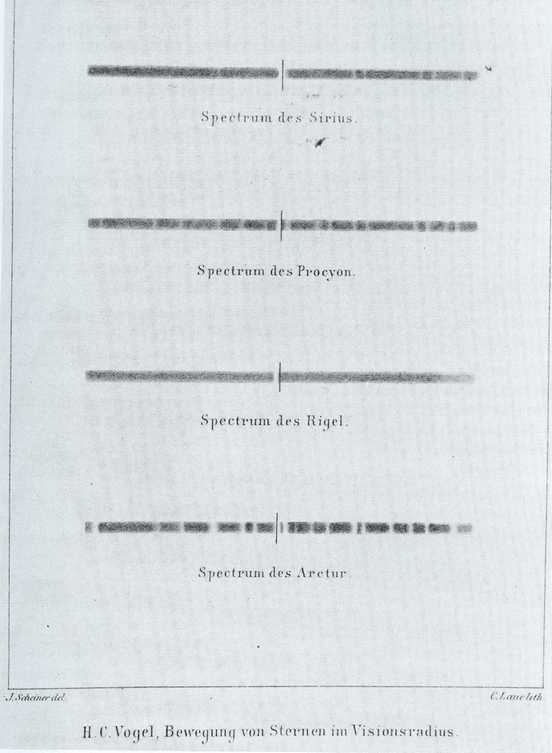 Lohse was the chemist who worked with Vogel all his life, providing his friend with the technology to photograph the ‘rainbows of the stars’ And it was Scheiner who proved conclusively through photographic spectroscopy that the ‘Great Andromeda Nebula’ was in fact an ‘island universe’ made up of stars. The Author is grateful to Klaus Staubermann, NASA, the Astronomische Nachrichten, the Bonn Observatory, the Potsdam Astrophysical Observatory, Royal Astronomical Society of London, the Royal Society of London for the use of the following items: text extracts from original sources, genealogical information, photographs, maps, drawings and illustrations included in this eBook.